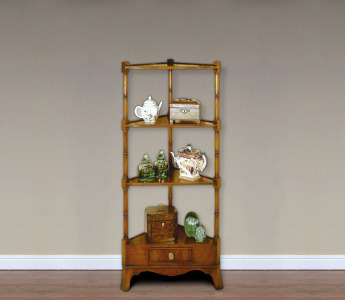 Browse from more than 600 items to furnish your home. As each piece is handmade to order, we can match existing furniture that you have or fully furnish your rooms from scratch. 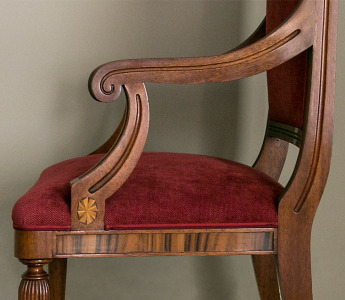 Feel free to contact us on 01473 252158 for further information on our wide range of handcrafted furniture – we can make any piece in any size for you. Our dresser bases are one of the most popular pieces of furniture in our range, probably as they are simply incredibly useful. 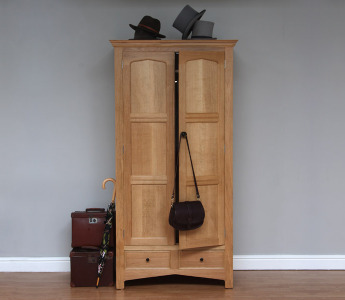 We also have a covetable range of full dressers too. 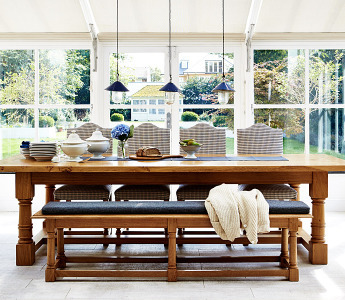 Go for a rich oak or for a less traditional look try one of in our new natural oak finishes. 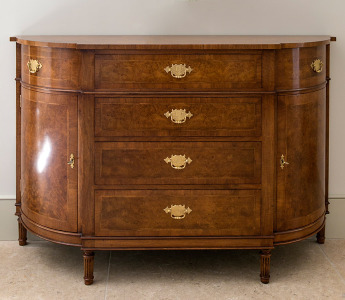 For more information on our bespoke wooden dressers call us today on 01473 252158. 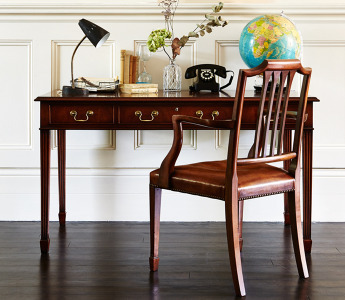 Eternally useful and beautiful too, sideboards, consoles and side tables frame and add structure to your dining room, sitting room or drawing room while adding valuable storage space too For more information on our handmade wooden console tables, sideboards & side tables contact Titchmarsh & Goodwin on 01473 252158. 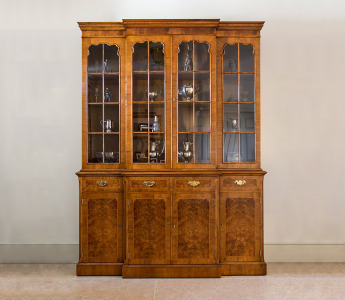 Sparkling silver and glass need an elegant display cabinet to really set it off. 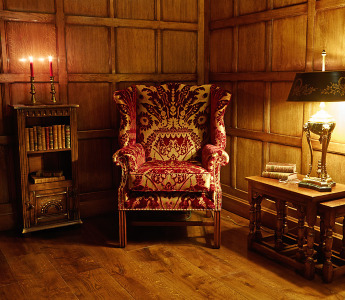 We have everything from ornate serpentine mahogany to solid rustic oak depending on your style of room For more information on our range of bespoke bookcases, cabinets & cupboards call us today on 01473 252158. 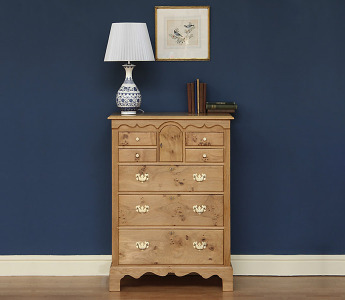 Our capacious chests and handsome tallboys are both decorative and practical for your storage needs, plus all of our drawers are made in the traditional way using beautiful dovetailing Contact Titchmarsh & Goodwin on 01473 252158 for more information on our handmade wooden chests. Our desks are our forte for captains of industry who need a status station or for home offices that need a pretty desk or bureau we have a good range in all of our woods with matching side tables and storage For more information on wooden office furniture please contact Titchmarsh & Goodwin on 01473 252158. 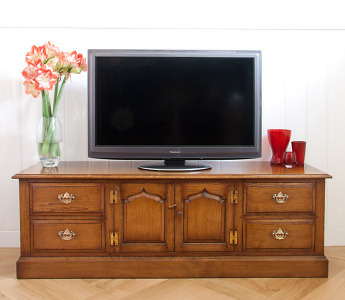 Hide the TV and its assorted wires and boxes in an elegant wooden cabinet, or for more traditional entertainment invest in a games table Contact Titchmarsh & Goodwin on 01473 252158 for more information on our home entertainment furniture. The most glamorous evenings start with time at the dressing table. 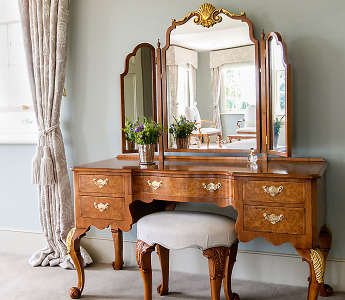 Choose from rustic oak, sophisticated mahogany or characterful yew or walnut If you would like more information on our bespoke dressing tables contact 01473 252158. Whether you want built-in or standalone, browse our range of that includes mahogany wardrobes, oak wardrobes and walnut wardrobes. You can buy or contact us if you’d prefer storage that’s a little more bespoke. If you would like more information on any of our handmade wardrobes please contact us at Titchmarsh & Goodwin on 01473 252158. 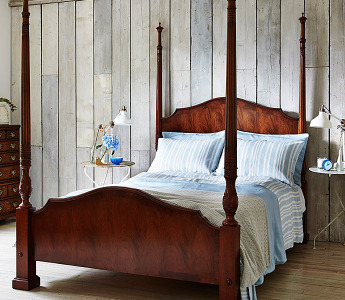 They can finish a room off, are both beautiful and useful and you can never have too many. They are great for lamps, great for plants and have many other uses too. For more information on our wooden lamp stands, you can call us on 01473 252 158. 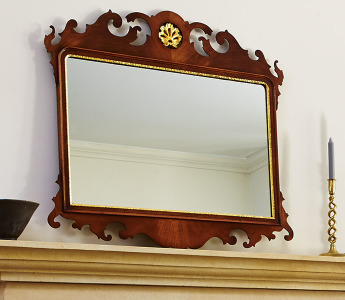 Finish off your sitting room, bedroom or hall with one of our custom made mirrors. We have a diverse collection of high quality mirrors in all of our woods, some gilded, some plain - all covetable.